Two pictures. 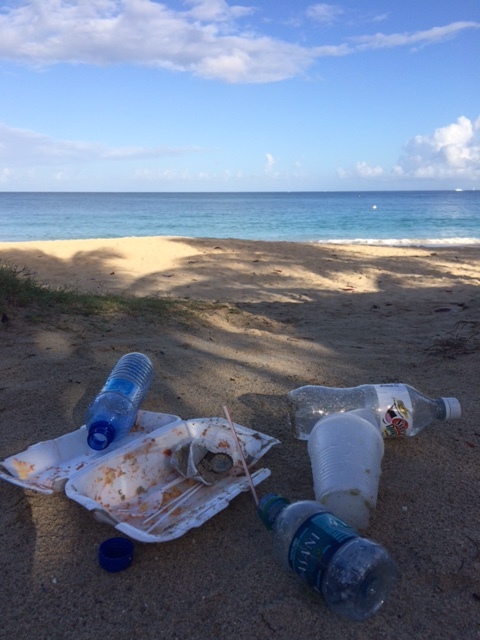 One is of litter left by visitors to Grand Anse Beach. The normal debris: styrofoam and plastic, all of it associated with food. The other is a beach in Ghana. Yes, there is a beach under all this plastic. If you lived in Ghana, you would not notice it. You would take it for granted. It’s the way things are. It doesn’t matter; the sea will take it away. And then what? The plastic degrades in the sea. It breaks down into tiny pieces, far too small to see. It does not ‘go away’ at all. All of the plastic that has ever been made is still with us. A lot of it got into the sea by being washed down by rivers. The plastic is toxic, having been made with petrochemicals. It combines with plankton, which makes half of the air that we breathe, and which is eaten by fish. The fish are then poisonous to us, and less oxygen is produced. We are eating our own waste, literally. 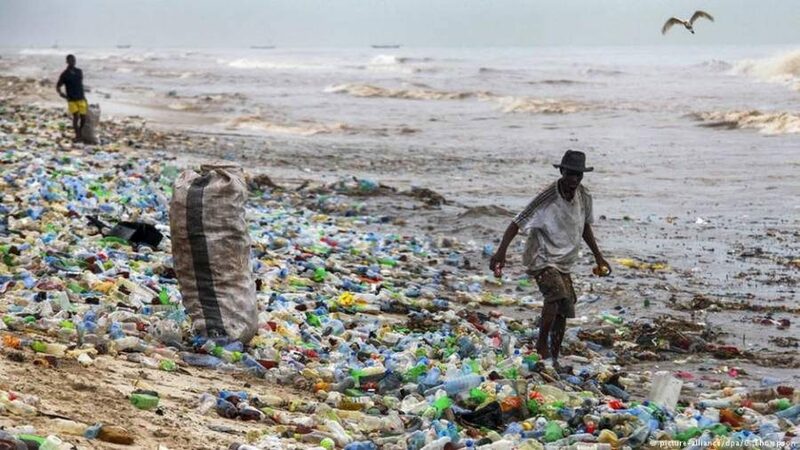 People visiting islands and shores where man has never been before are discovering that plastic got there first. The planet is becoming wrapped in plastic. Literally. By 2050, there will be more plastic than fish in the sea. If you have ever discarded any plastic, then you have contributed to it. Every piece of plastic counts. That little nest of plastic on Grand Anse Beach escalates until it becomes a Ghana beach. What can you do? Refuse plastic bags at the supermarket. Never leave litter in drains, ditches, rivers and at the beach. As the advertising slogan has it: if you are not part of the solution, you are part of the problem. What will YOU do to stop Grenada turning into Ghana?